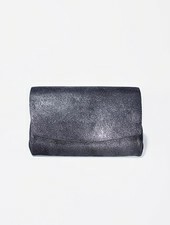 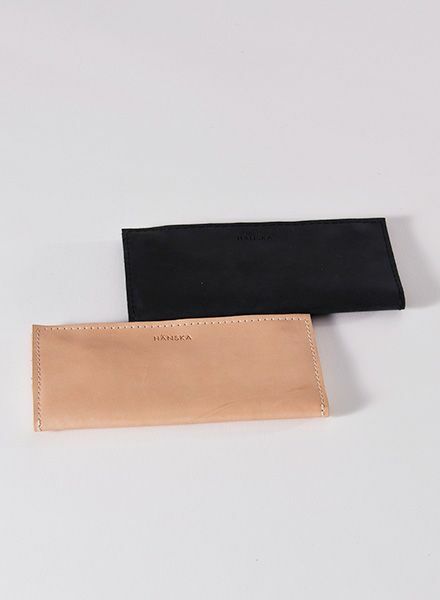 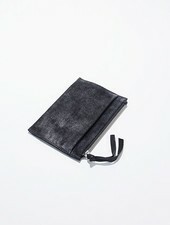 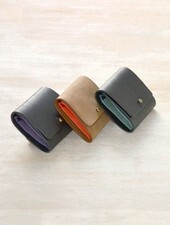 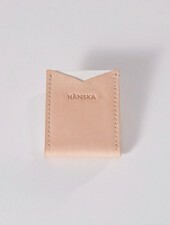 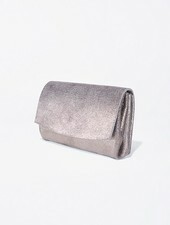 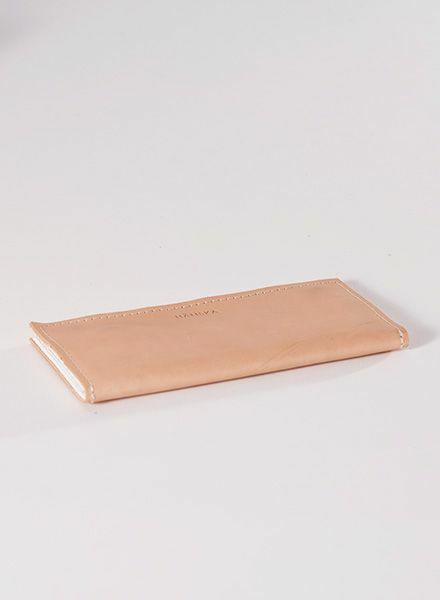 The leather and mesh wallet is simple with elegant details. 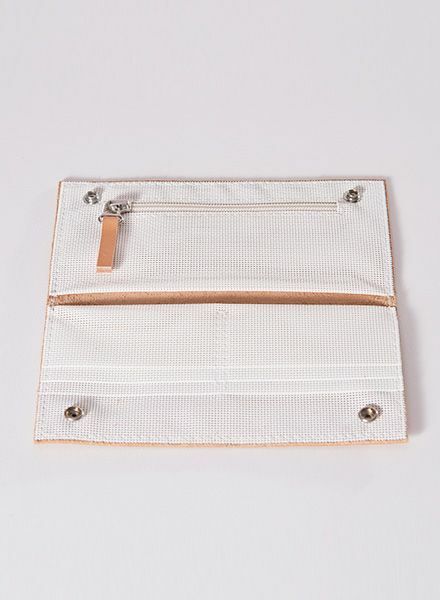 The interior is made of open-edge mesh. 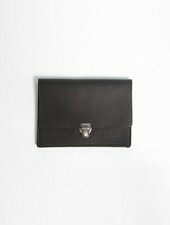 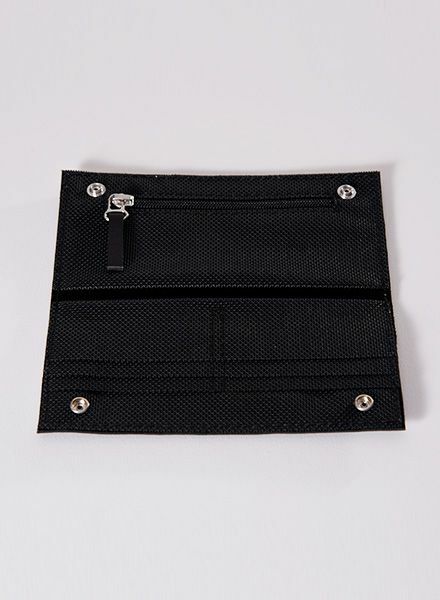 It has a double press-stud closure, zipped coin compartment, six card slots and two large slots on each side.